For years Zelda fans have tried to formulate a possible timeline for games in the series, and now, finally, Nintendo has laid all the wild speculation to rest with a conclusive statement. For a long time now fans of The Legend of Zelda have been trying to solve a mystery that might seem petty to outsiders but is of vital importance to people who love the franchise with a passion. What's the timeline for the games in the series? Time has been a recurring theme in the franchise for some time now, and the chronology of the games themselves seemed appropriately convoluted. 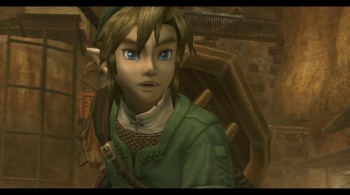 This speculation has led to thoroughly reasoned and researched theories like the "split timeline" idea (people who follow this theory are known, naturally, as "splitists"), which proposes that the ending of Ocarina of Time resulted in two different timelines: a "Child Timeline" leading up to the Windwaker games and an "Adult Timeline" leading up to the NES games. There are plenty of alternate theories, and among the people who care about this stuff, it's serious business. One of those people, a YouTuber by the name of "ocarinahero10," produced an exhaustive video on the split timeline theory, one that was apparently so authoritative that he decided to send it to Nintendo to get their take on it. What he got wasn't what he wanted. "This means that - unless otherwise specified - each new game represents a new Link and that there isn't a true frame of reference or timeline possible for the series." So there is no timeline. Years of speculation, thousands of words of text in argument and speculation, the hopes and dreams of Zelda fans, cast into oblivion by a single sentence. This is why you don't get attached to things you can only speculate on, people. I learned that lesson with Duke Nukem Forever. Ocarinahero10 isn't ready to give up, however. He's peeved that Nintendo didn't seem aware of many of the arguments he made in his submitted video, and he seems to think this rebuff indicates that the company has no love for the series or its fans. So he's going to fight the power in the way that all angry gamers seem to be doing nowadays: he's made a petition. "If we can get enough names then there's a chance that Nintendo will give the timeline a chance and not abandon Zelda," he wrote. I can understand how heartbreaking it is to see your work go to waste, but I think it's time to let it go.